File this one under the best-laid plans. 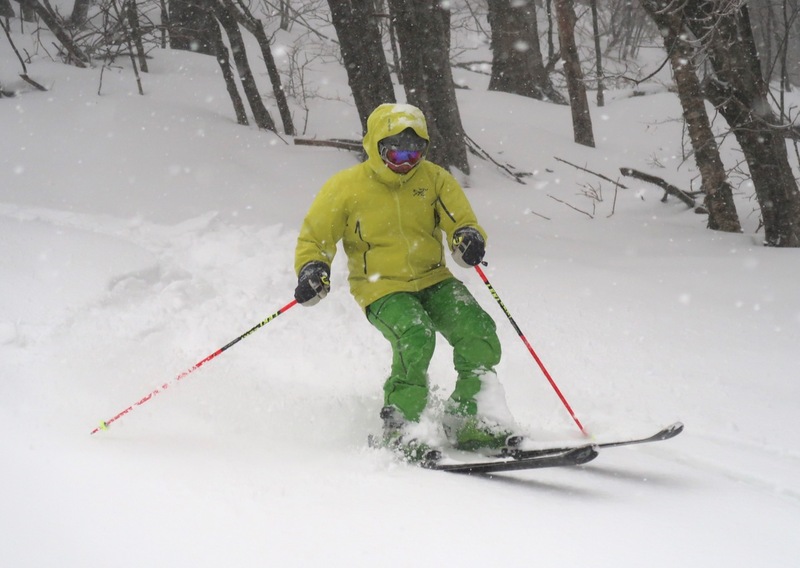 At the end of last week, forecasters were calling for more than a foot and a half of snow at both Gore and Plattekill by Sunday. I only felt certain about one thing: driving in the storm early on Sunday morning wasn’t wise. I weighed the pros and cons of my choices. Option #1: We’ve got a small cabin near Gore, about five hours away. It provides us with a good deal of flexibility at a low cost. 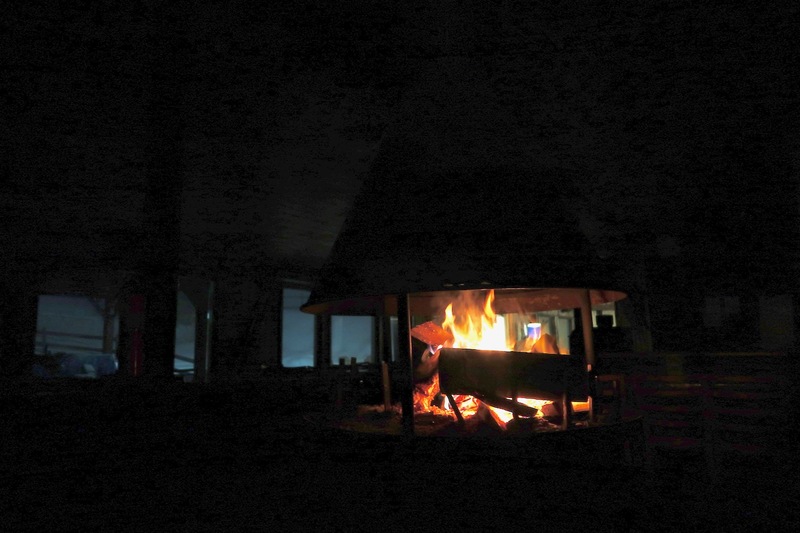 Still, time is precious on a one-night trip to ski country and it takes a few hours to get our building warm. The drive to the mountain is 10 miles that should be driven with care in a storm. Option #2: Plattekill is much closer to home, a three hour drive, but lodging would have to be arranged. I asked if I could spend Saturday night in the base lodge, by the fire. Laszlo told me that the big heater for the bar was down, and it would help if I could keep the two big woodstoves stoked. After my first ever overnight in Roxbury, I would wake up at the base of lifts, no car needed before first chair. 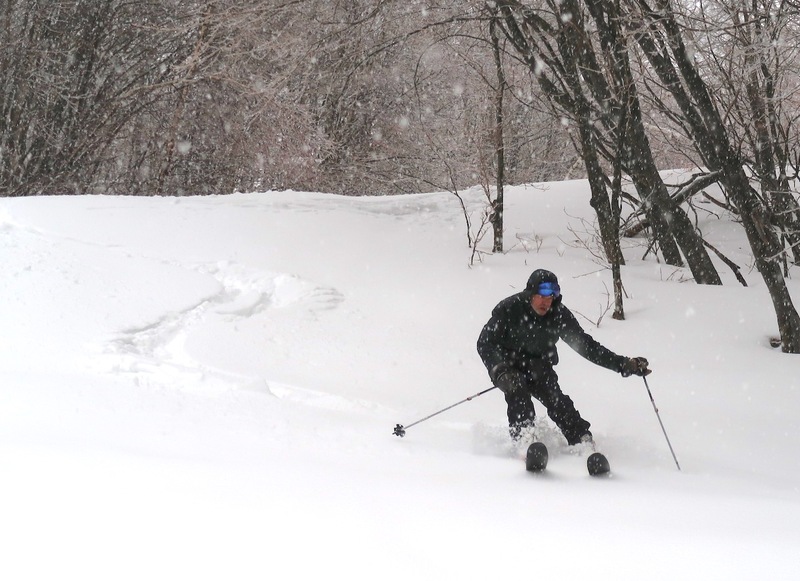 For many who were chasing Winter Storm Harper, skiing Sunday meant driving on Saturday. I drove to the Catskills in the morning, leaving at 8am, about four hours later than my usual Plattekill departure time. The sun was up, it was shining, and the roads were dry. It was relaxing. I arrived at 11:30 and booted up. Open terrain was skiing pretty well, but it seemed universally accepted by the adventurous that Ridge and Twist, with thin cover and all-natural snow, were skiing the best. At 2:30, it began to snow, lightly at first and then picking up steam, adding an inch or two before closing. The last run was my best. For a reason that I can’t fathom, I didn’t plead for “one more run” on the double. I had time to pass between the close of lifts at 4:15 and when the lodge would settle down enough to try to get some sleep. I hung out in the bar talking to Danielle, Laszlo and Macker. At the end of a Plattekill day I’m often hanging out, but also harboring the thought that I’ll have to hit the road soon. It was nice knowing I was staying. I was relaxed. I met Danielle’s cousins, Mark and Eric. From Brooklyn, they’d bought some land close to the mountain and built a small building with a woodstove, giving them the flexibility to ski more often. Invariably, the conversation moved to building a ski cabin, and the joys of tiny shelter. By 8:30 pm, it was just family in the bar. Mark and Eric invited me down to check out their camp. I got my own crib set up on the big leather couch near the fireplace, loaded up the woodstoves and headed down the road to find them. The snow was coming down harder. We talked skiing and life for a couple hours like old friends. Then I walked back to the lodge in the swirling wind and snow. When I arrived, I loaded the woodstoves again. In the process, I discovered another soul. Crashing next to me near the firepit was Richie. Richie is a snowmaker and operations guy. 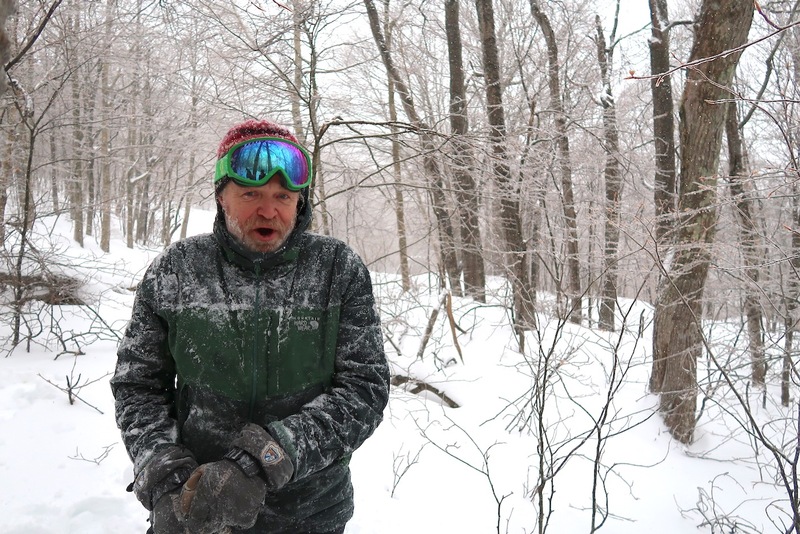 While there was no snowmaking going on during the storm, he had to work in the morning, and was concerned he wouldn’t be able to make it in. He had the same idea that I did — crash near the fire, keep an eye on the woodstoves and wake up early. Eventually we settled down, but I couldn’t sleep. 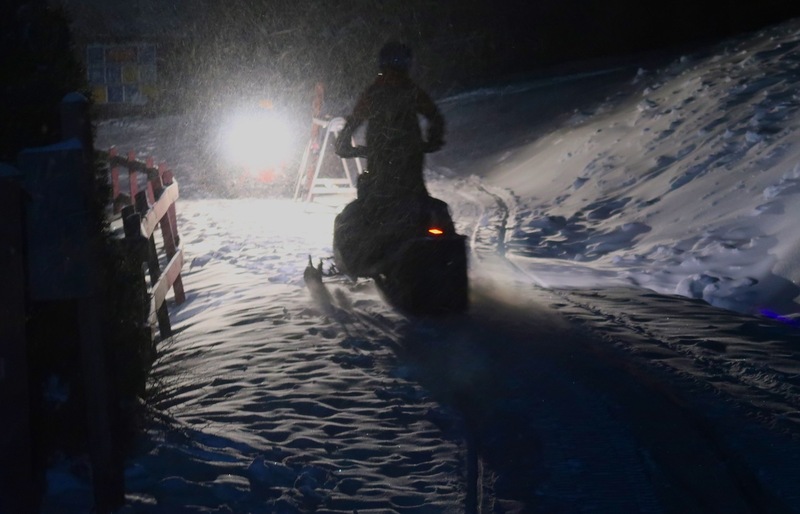 From 11pm until 5am when the crew started arriving the wind was blowing and it was snowing hard. I’d say we got 12 or 15 inches of snow before, quite abruptly it started to rain at 6am. It was disheartening to see all that beautiful snow get wet. Noted Plattekill and Mad River passholder Dean, who’d crashed in his Honda Element in the upper lot, came in to make coffee and we chatted. At 7:30, Robert came in and asked me if I was “ready to go.” I assumed the proper answer was yes. We headed out to the triple, which was just beginning to turn. Laszlo told us that ice on the cables was causing a sensor to trip, shutting the lift down. He said we could ride up if we checked the sheaves to make sure they were all spinning. All in, we headed for the top. On our first run — to honor Laszlo’s request, and against our better judgement — we skied Blockbuster. It was both terrifying and fully skiable at the same time. Half way down, we bailed onto Bail Out (<–haha I get it now) and finished our run slicing the new cord on Shredded Mozzarella. For several runs at the start, the cord was wet and trenchable to six inches deep, almost too much. The ungroomed was hard work, and you had to charge hard to survive. From the rain, the top layer of snow was much thicker than the snow 3 inches below the surface. I was in awe as Robert and Chris nailed it. Chris was absolutely on fire, bouncing off the top of the snow. I’ve never seen anything like it. 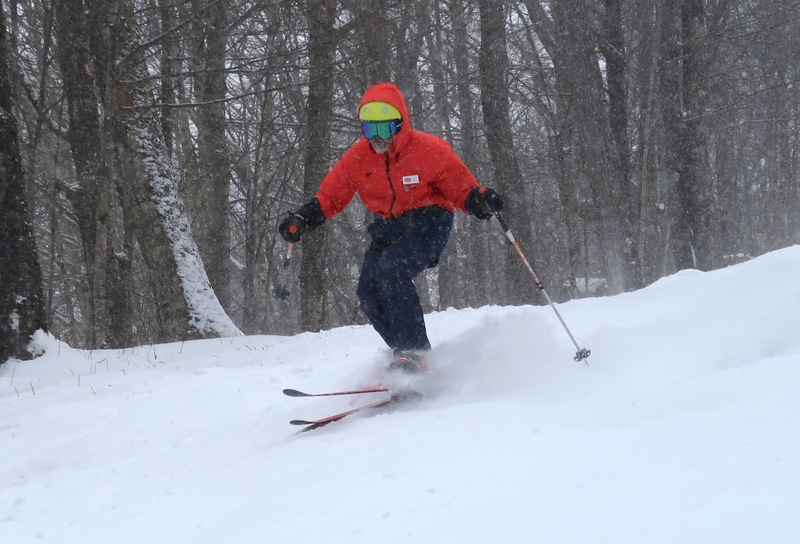 Sunday was my most legitimate attempt at skiing in the rain since I first read Brownski’s classic post. I was motivated by the situation. 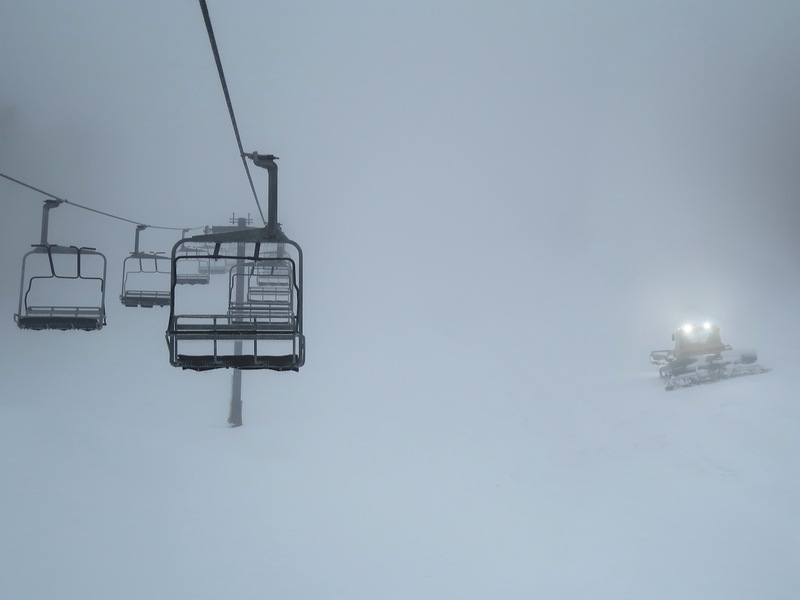 It was a big storm and I came to ski it. I didn’t think it rained that hard, really. By 8:30 am, precip turned back and it snowed steadily until just after noon. It boosted the crowd and improved the skiing too. 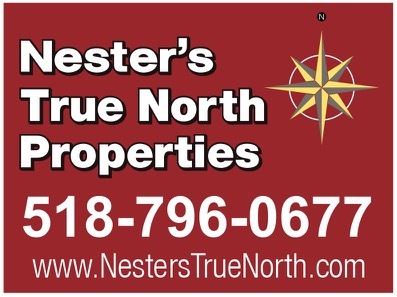 We reverted to our old habits, skiing Ridge and Twist, and North Face. During the early morning, temps were just above freezing and the snow was relatively soft. Late in the morning the temperatures started to drop, and the snowpack got colder. By 12:30, I was done. Driving home, I wasn’t singing or full-on powder day exuberant. 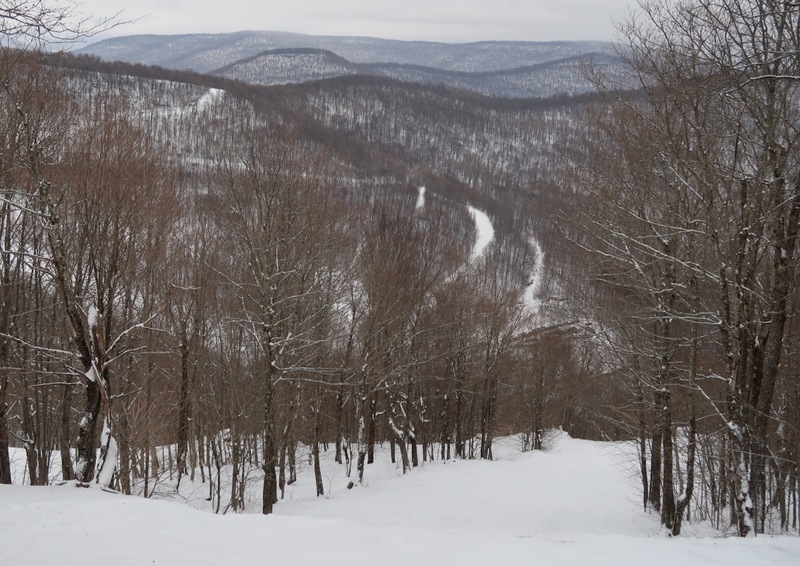 But I did have two days good days of skiing, and I experienced Plattekill in a new and completely unhurried way. I saw up close, Laz and Macker taking a few minutes at the end of the day to relax. The film Snowfarmers did a good job highlighting the depth of their relationship. These guys are totally different personalities, who really like each other. It was fun to see and be a part of it, in a quiet moment after last call. And I became better acquainted with one of my favorite buildings in New York: the Plattekill Lodge. I’d imagined the overnight would be exciting, but also wondered if it would be lonely or scary. Inside, I found myself at peace, enjoying her protection from a raging storm, while doing my bit to keep her fires burning. 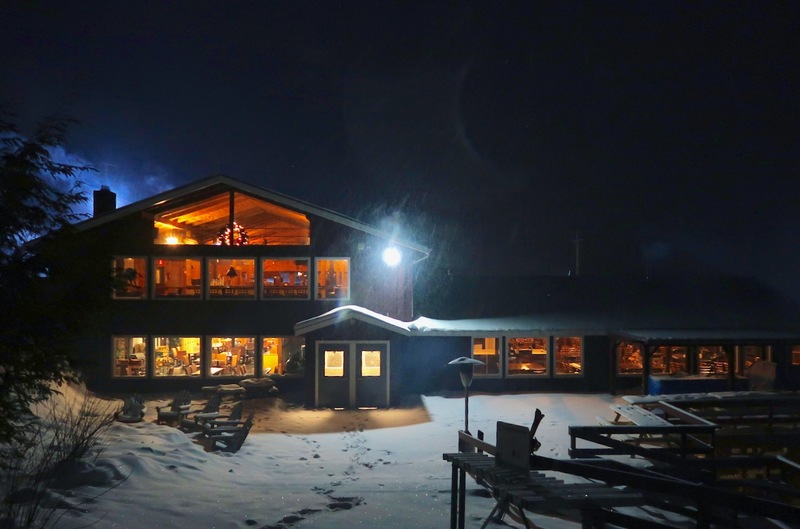 My daughter and her kids were up at Hunter, seeing the rain Sunday morning they stayed in, it transitioned to all light snow by 11am, they went out and by then everyone who skied early in the rain was already crowding the bar cold and up for libations. My daughter, a teacher, only skis on the weekend and usually Hunter or Mt. Snow, so she doesn’t know what an uncrowded place is like. She was extremely happy that the lift lines were down to under a minute, said she felt they had some trails to themselves, very rare holiday at Hunter. Worry not about their finances I heard they sold a ton of tixs Sat and Sunday, and kudos to Peaks for the great new trails, if you haven’t tried them you really should go. HARVEY – GREAT STORY. You’re a good writer.. Wonderful post Harvey! Yeah, Scott (scottski) and I drove up early Sunday morning and our first run was on Block as well. Scott CRUSHED it, whereas IT crushed me. (One of my skis caught under the crust and spun me around). Was a fun day though, and you so PERFECTLY captured the experience. Was great running into you and Chris! Always a good read Harv, I need some of those wide bodies Chris is on. Great post Harvey, bummed I didn’t get a chance to make a run with you, we were quite busy at the LC. But you are so right–Ridge at the end of day Saturday was sweet. Until next time…Think snow! Hey you guys, it was a challenge and we did our best!! Thanks for everything, Harvey! You skied well yourself, as always, and it’s good riding with you. …You too, Wortman, you youngster You! Nice turns on the Crunchy! …by the way, John Tunis showed me how to charge that crust in exactly the same spot at least twelve years ago. Sean Reilly, if you’re listening, every seventh turn that I make I try to ski it like you brother! A successful recovery to you from us all! The hill’s not the same without you! That last pic is pretty amazing. Great story Harv. Plattekill sure is a special place. Harvey Was a Blast Skiing with you on Sat and Sunday. What a fun weekend at Platty!! Let me know when your back up so we can rip it again!!. Nice piece, Harv. IMHO, you captured the essence of Platty. The skiing is usually better than expected and the people always are. It is always a pleasure to make turns with you… I look forward to the next time. Thanks for the positive juju all. It’s hard for me to fathom that I missed the biggest pow day of the year (and just barely missed it), but somehow… I still made a lifetime memory. I also shout out to Sean Riley! PS I want a lesson with John Tunis!